Most of us believe that our dreams are a collection of metaphors existing in our subconscious minds. So how are these thoughts and experiences created? In the third and final episode of a series on sleep with sleep physician, Dr. Shane Creado, Dr. Daniel Amen and Tana Amen discuss the role that past experiences, future events, and current stimuli play in shaping our dream experiences. We're back with Dr. Creado. This is so interesting and so helpful. We're talking about sleep issues. Dr. Creado, before we jump into restless leg, I really liked something you talked about in the last segment with sleep apnea and how hard it is for people to get used to their masks. But, you know, it reminds me of something. It's about taking care of yourself and loving yourself. When I first met you, we mentioned in the last segment that you lost weight and it helped your snoring. But when I first met you and we were getting serious and engaged, it was hard for me because you snored. I'm like, "I can't sleep. This is really affecting my sleep." Do you throw the relationship away because of something, or do you figure out a way to fix it? So I started wearing earplugs. You like to read at night, so I started wearing an eye mask. I did that because I loved the relationship. Why would you not figure out a way to wear a CPAP machine because you love yourself? I'm confused by that. Dr. Daniel Amen:	I would have hated to have lost you over that. Dr. Daniel Amen:	Now I'm about to have a panic attack now. Tana Amen:	No. My point is it would have been silly. It would have been silly. Dr. Shane Creado:	You could lose your partner. Dr. Daniel Amen:	... Dr. Creado's therapy techniques with us. No. Because we don't have a lot of time, three minutes on restless leg. How do you know if you have it and what do you do about it? Then I want to talk about dreams. What's the CliffsNotes? Dr. Shane Creado:	Restless legs tends to be a misnomer, because people say, "Oh, my legs shake all the time while I'm in class, while I'm at work. I must have restless legs." No. Restless legs syndrome is a very specific disorder and it's a clinical diagnosis. If someone has a weird sensation in their legs, maybe some people describe it as pulling, burning, pain, irritation, various terms to define how they feel about it, number one, that's worse at night or worse at rest, and relieved by movement, they may have restless legs syndrome. Now, it's not just the legs. As I said, it's a misnomer. 21 to 54% of people also report some arm movements as well. It's under a group of conditions called sleep-related movement disorders in sleep medicine, so like period limb movements of sleep. They might be having sleep leg cramps, arrhythmic movement disorder, or myoclonus, which are little jerks when they're falling asleep. It's very important to understand whether in fact it is restless legs or one of those conditions, or neuropathy or nerve damage. If someone has restless legs syndrome, the first thing we need to do is, again, with anything we do in medicine, look for the underlying cause. Don't just throw medications at this condition. Figure out why this is happening. One of the most common causes is iron deficiency or abnormal iron metabolism. I always want to make sure my patients have good iron levels, but not just iron levels, but also a storage form of iron called ferritin. Even if it's within normal limits, I want to see it above 75. If normally it might be at 50, that's not good enough for us, because iron helps in producing dopamine. One of the most common medication treatments for restless legs, for example, is a dopamine agonist like mirapex or Requip, medications like that. There is a growing body of evidence to suggest that dopamine abnormalities may result in restless legs syndrome. Tana Amen:	That's so fascinating. Dr. Daniel Amen:	Which is why ADD children are hyperactive. Dr. Shane Creado:	... with ADD and restless legs syndrome. Tana Amen:	I'm so fascinated. Dr. Shane Creado:	There is a small correlation. Tana Amen:	I always thought it was magnesium, and it's iron. Dr. Daniel Amen:	Which is often a deficiency of ferritin. We often see kids who have low ferritin levels. Tana Amen:	That's so interesting. Tana Amen:	That's really interesting. Tana Amen:	Don't go buy leeches. Just go donate blood. Dr. Daniel Amen:	Donate. Yeah. That's a whole thing between us. Dr. Daniel Amen:	It could be you just traveled. Tana Amen:	Right. Like you. You slay dragons when you get home. Dr. Shane Creado:	I always go with my patients' goals. If it's causing them to have disrupted sleep or not being able to fall asleep, or really troubling them for more than 15, 20 minutes most nights, let's treat that. Let's figure out the underlying cause. Is it low iron? Is it caffeine? Alcohol? Women who are pregnant may develop restless legs and it may subside once they've delivered the baby. Sleep deprivation can result in restless legs syndrome. Diabetes, antidepressants, anti-anxiety medications are notorious for this. Of course, the one exception may be Wellbutrin because it doesn't act on serotonin. Antihistaminics, anti-allergy medications like Benadryl, hydroxyzine can also worsen it. Antipsychotic medications can worsen or trigger restless legs. Dopamine-blocking anti-nausea medications can also worsen it. We need to figure out what's causing it. In fact, people who have obstructive sleep apnea may have restless legs. If the sleep apnea is corrected, the restless legs can resolve. 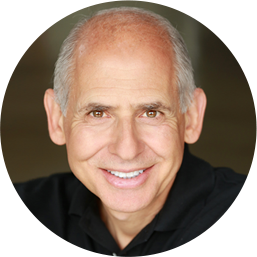 Dr. Daniel Amen:	What about a magnesium deficit? I heard 80% of the population is low in magnesium. Dr. Shane Creado:	Yes. Magnesium is important. Some studies have shown benefit for restless legs with magnesium supplementation. Dr. Shane Creado:	If it's deficient, we should supplement. Dr. Daniel Amen:	We promised them, and I think this is what a lot of people are waiting on, is talking about dreams. Dr. Daniel Amen:	Why do we dream and what the heck do they mean? Dr. Shane Creado:	This is one of the reasons I got into sleep medicine, is because I did my psychiatry training and I studied ... one of my mentors has written books. He's a psychoanalyst who trained in Harvard. He's written books of dream analysis. I worked with him processing patients' dreams. Dreams tend to occur in dream sleep or rapid eye movement sleep. If you look at the EEG on the polysomnogram, you know when someone is going to dream sleep. In those times, people dream. But Freud once said that dreams are a combination of what you've experienced in the past, the stimuli you're experiencing while you're asleep, and anticipation of future issues as well. The hippocampi primarily create the dream-scape. The right and left hippocampi map the topography of the dream and the time-scape to create the dream-scape. I've used dream analysis frequently with my patients in processing what they're experiencing and how it maps onto their current life situation. In fact, they've done experiments on rats where they've had rats with electrodes go through mazes, and then build the areas that are active in the brain, and then they record the rat's sleep. In dream sleep, the same areas of the rat's brains are active. We're really cycling through what we're experiencing every day in our dreams. For example, a lot of our patients with anxiety disorders frequently have dreams of being chased or in dangerous situations because that's what they're cycling through while they're awake. No wonder they can't fall asleep. A lot of people suffer from middle-of-the-night insomnia, where they're waking up in the middle of the night and cannot fall back asleep. They say, "I don't know why I woke up." Well, dream sleep is more common in the later half of the night. That's where you start your dream cycles. They might be waking up in a panic, their heart racing, their blood pressure going up, then waking up in sweats because you're reliving what you're experiencing every day and anticipating the next day. Tana Amen:	I have a question. When I was younger, I had this sort of recurring ... these weird recurring I guess you would call them nightmares, that someone was chasing me, which you just described, and that, right before I would get caught, I would take off flying, and the flying was really hard. Initially I couldn't fly. But then all of a sudden I'd start flying and I was up above what was happening, and it was the coolest thing. I'd be up above it. But it was always this really intense pressure, like about to be caught, and then I would fly. Do you hear a lot of people talking about flying in their dreams? Dr. Daniel Amen:	I had no idea. Tana Amen:	It was terrible. It was always really scary. 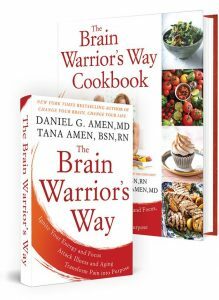 Dr. Daniel Amen:	It sounds really cool. Tana Amen:	Well, it is in the end. But the almost getting caught part was always terrible. 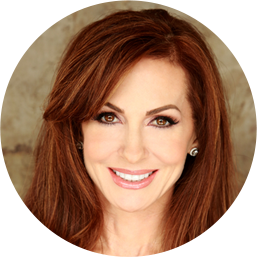 Dr. Daniel Amen:	What would you do with that, Shane? Tana Amen:	But wait. Do you hear a lot of people talk about flying in their dreams? Dr. Shane Creado:	I do. Tana Amen:	To get out of situations. Dr. Shane Creado:	I do. It's important to remember that we shouldn't go to Google or look at what they think dreams mean, because it's truly individualized. I always dig in really deeper with my patients. I know what they've been going through, through life. I know how it maps onto what they're currently experiencing. In cases where people tend to escape from a dangerous situation, not necessarily flying but escaping from a dangerous situation, it tends to be metaphors. The subconscious mind speaks to us through metaphors and brings to our awareness what we need to be aware of, what we usually suppress with our conscious minds. In this case, I would think it maps onto escapism, really. As kids, you may create these imaginary friends. Kids who have been traumatized may actually experience de-realization or depersonalization, where they feel that they're in alternate realities and things like that. In the dream-scape, it might represent a form of escapism where you're getting out of that scary situation by having powers you wouldn't otherwise have in the real world. Tana Amen:	Interesting. That was just fascinating. Dr. Shane Creado:	Let me give you an example of a veteran I treated a few years ago who had severe PTSD. His symptoms all were really well controlled with our treatment protocol. But one day he came to me and he said, "My PTSD has come back." I said, "What happened?" He said, "I had a terrible nightmare. I dreamt I was back in Vietnam." I said, "What happened?" He said, "Well, I dreamt that I was in Vietnam. I had my gun ready. There were three Vietcong approaching behind a wall, and I was ready for them. Then I looked down and my gun is missing." I said, "What did you do?" He said, "Well, I panicked in my dream. But I waited for the first guy to come around, I tackled him, and dealt with the other two." So he saved himself in the dream. Through understanding where it happened just before he went to sleep, it turned out that he had forgotten to take his nighttime medicine. Now, with the medications he was on, it would last in his body for a few days, so it wasn't like the symptoms would come roaring back. But the metaphor his subconscious used was, in Vietnam his weapon was the gun. Now his weapon is his medications to fight against these symptoms. He was missing his medication, or his weapon in Vietnam. But, in spite of that, he could overcome his symptoms. He could overcome the situation and survive. It's really fascinating what our dreams can tell us about our own resilience. Dr. Daniel Amen:	I love the idea that you talked about, dreams often will speak to us in metaphors, and if you can understand the metaphor. Louis Gottschalk, who was chairman of the department at UC Irvine, and was my neighbor for a long time, so I loved his work. He was really a pioneer. He wrote a book about dreams and he said, to understand dreams you really need to understand three things, so that each dream tends to contain a wish or a fear, something from the past, and a current event that triggers it. Does that fit with your experience? Dr. Shane Creado:	Yes. That's what Carl Jung would speak about with dream fulfillment, fears that have not been really faced, or accomplishments not yet achieved, or goals that you're reaching toward. It really maps well onto what Carl Jung spoke about and Freud spoke about and what we know from modern neurobiology with the areas of the brain responsible for dreams. Tana Amen:	The almost being caught, and then getting away from the situation. Dr. Daniel Amen:	Our niece, who we talk about on this show, both our nieces were taken by Child Protective Service to foster care because their mom and dad were not right. Tana Amen:	They had their wisdom years. Dr. Daniel Amen:	... that is safe and really go through it. What is really cool is it tends to then stop, because they'll have a dream or two where they actually finish it in a more positive way, and then it'll stop. Tana Amen:	I don't know. I don't have your education in this area or experience, and so I would love to hear your feedback. As somebody who just was doing what I knew how to do intuitively to deal with stuff, something that helped me, one, was meditation and visualization. Really helped with just visualizing safety and whatever, going through my day and doing that on a daily basis. But also, oddly enough, things like practicing karate, so doing some things that for me felt empowering. I don't know why, but those dreams went away. Dr. Daniel Amen:	Because you were finishing them in a more positive way. Tana Amen:	I felt empowered. I don't know if that had any connection, but it felt to me like I feel more empowered in my daily life, and somehow that went away. I didn't start karate for that reason. I just noticed that it tended to go away. Dr. Daniel Amen:	What Shane's talking about is dreams as metaphors, so you have developed other metaphors that are healthier. Dr. Shane Creado:	I agree. Dr. Daniel Amen:	Shane, this was just great. We have to stop. Tana Amen:	But is that what you do? Dr. Daniel Amen:	We have to do this again. Tana Amen:	I like it. Tana Amen:	This is so interesting. Dr. Daniel Amen:	... with Dr. Creado. He's so helpful. I use him for many of my patients, and I am just so grateful you're part of our Amen Clinics family. Tana Amen:	Thank you so much. This was so fascinating. Dr. Shane Creado:	I'm grateful to be with you guys. Tana Amen:	Yes. Thank you. Dr. Shane Creado:	Thank you so much. It's been a pleasure seeing you and talking to you guys today.